One morning after being struck by lightning, Ye Wenxuan inexplicably gained the superpower of being able to generate electricity. This novel has an interesting premise -- a man is struck by lightning and given incredible electric powers. Instead of going wild, he follows the government's instructions, obediantly charges several power plants, and eventually becomes a bodyguard. So far, there has only been a few chapters released so it's not fair to give a full review. 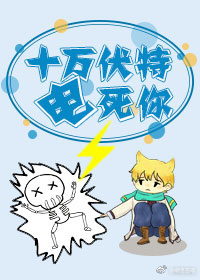 The first chapter is mostly an information dump about the main character, how good looking he is, and how his body has signs of electrical power. It lacked any emotional depth. The following chapters were also... more>> information dumps about every little detail (like what office supplies are on his desk, and his neighbor's desk). The story is carefully articulated with an undercurrent feeling-slowly making you wish for more and a certain itch to find out what happens next. You have a dense/aloof overpowered MC and an ML that has yet to appear. I think the story looks very promising and will uphold on to the 5 stars for now. It's quite interesting to see MC struggle with his first mission. He has to improvise a lot, but luckily his ability is really OP and he has some other useful skills due to his previous line of work. As for ML, at first he seems very cold and intimidating, but there is also another side of him and they grew closer due to a mortal danger. i hope this is translated until the end because it's really interesting so far. I like his power but there are a lot of unanswered questions about it (how does he stabilize it? How does he know how to stabilize? Will he grow stronger and if so than how does he do it? Why did he suddenly get this power?). I'm sure some if not all will be answered in later chapters. I get the feeling that this is going to be one of those x-men type stories (or Chinese... more>> quick wear zombie arc) where a select part of the population ends up developing abilities, though so far there's been no explained trigger (no evil comet or meteor, no world wide flu epidemic, etc). Looking forward to more chapters!